GKR: Heavy Hitters is an upcoming board game by Weta Studios, the folks who develop physical props for big movies like Ghost in the Shell and Power Rangers. 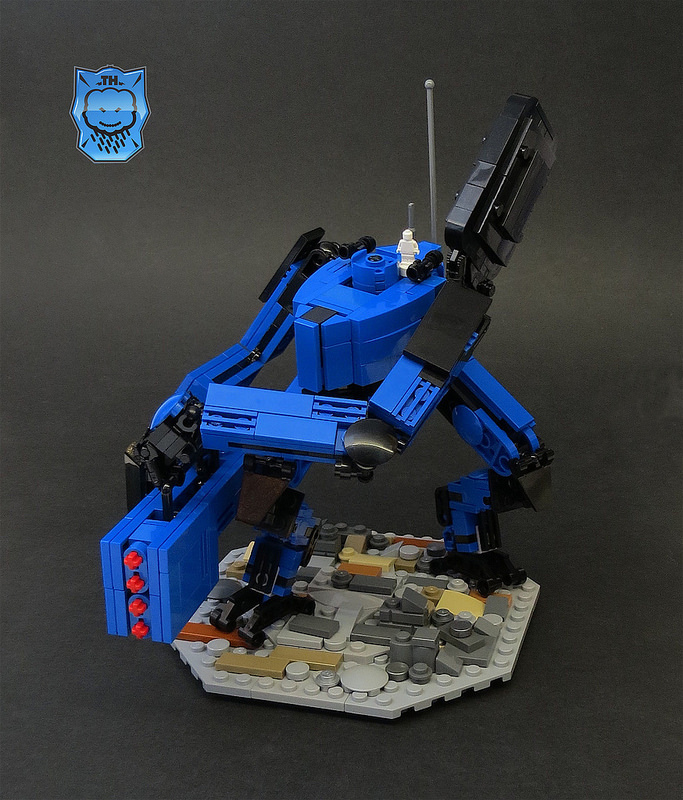 As is the LEGO way, talented builders are already reproducing the eponymous Giant Killer Robots. This model recreates the “Thunderhappy Pharmaceuticals” mech. It’s a fantastic lookalike, especially at this scale. The only real part that’s missing is all the decals, but then perhaps builder Grantmasters is a purist like me?